I read an article this morning about Greta Garbo, the famously taciturn actress from the 1920s and 30s. Her closely guarded privacy is so different from most of today's actors, musicians, athletes and celebrity chefs, who use Facebook and Twitter to skillfully cultivate a broad audience of "friends" and "followers," by letting the world in on their every thought. Personally, I'm more comfortable with the Greta Garbo approach. On personal matters, I try to be careful about sharing "too much information." 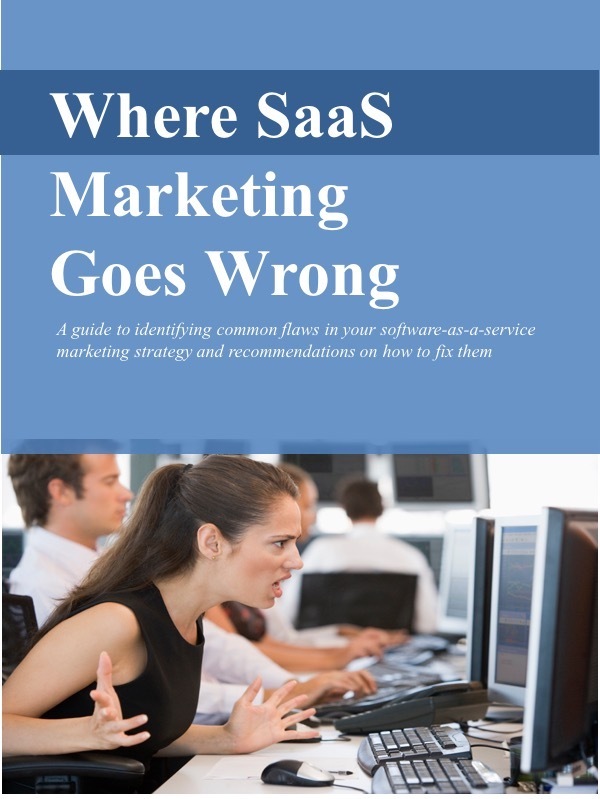 This reticence doesn't really work for businesses, though, and it's especially inappropriate for most software-as-a-service (SaaS) businesses. Quite to the contrary, SaaS providers can often benefit from more sharing. Social media can be used very effectively to communicate with customers, prospects, analysts, and even employees about the company's plans. These companies should be actively using LinkedIn discussion groups, blogs, and other communication vehicles. These newer forms of communication are particularly useful because they allow a conversation between the company and the customer. Unlike more traditional press announcements or web site postings, which are one-way proclamations, blogs and discussion groups allow comments and interactions. The audience can talk back. I also like the more personal nature of these conversations. The participants sound like real people, not disembodied corporate entities. They have personalities. Participating in these on-going conversations can help SaaS companies in a few ways. For one, they can help a company establish trust with its audience. As I've written about before, in subscribing to SaaS solutions, customers aren't really buying a product; they're buying a promise. This requires that the customer trust the SaaS vendor to deliver the service reliably, protect the customer's data, provide support, and enhance the service regularly. (See "Winning customer trust.") When done openly and honestly, talking and sharing usually helps a vendor build that trust. An open conversation can also help a SaaS company to build better products. The feedback gained from customers and prospects can be used to enhance existing services or develop new ones. Think of the conversation as a kind of electronic suggestion box. Remember, of course, that someone should actually read and respond to the suggestions. I've heard executives who have moved their companies from a traditional on-premise model to SaaS explain that one of the most valuable and unexpected benefits has been their ability to better understand what users want and to respond more quickly and accurately. An open and on-going conversation between the SaaS provider and its customers can also boost the likelihood of renewals. The business model for most SaaS companies depends on high renewals to recover the initial customer acquisition costs. (See "SaaS renewals and the multiplier effect.") Conversations provide a mechanism to discuss forthcoming enhancements, service changes, or other plans under consideration. It shows customers a roadmap so they can make their own plans. It can give the SaaS provider a heads-up if there's likely to be push-back on proposed changes. And by the way, don't be at all surprised to hear candid negative feedback, along with the plaudits. I've worked with a number of SaaS companies to take advantage of these new mechanisms to open and maintain a conversation with their customers, prospects and others. They do it not because it's cool and makes them feel like celebrities. They do it because it has a measurable positive impact on their business. Greta Garbo was a wonderful actress, but probably would have been a lousy SaaS marketer.